Making female centric versions of popular Hollywood properties is now becoming a full blown movement. We have already seen a remake of Ghostbusters , there are talks about making a spinoff to Sylvester Stallone’s Expendables series with the Expandabelles. Now it looks like the popular heist series Ocean’s 11 which is a remake of the 60’s Rat Pack film of the same name starring George Clooney and Brad Pitt is going to get the same treatment. This spin-off is now going to be called Ocean’s 8 starring some of the biggest actresses in Hollywood. The spin-off is planning to keep it in the family as Sandra Bullock will be playing the ex-con sister of Clooney’s Danny Ocean. 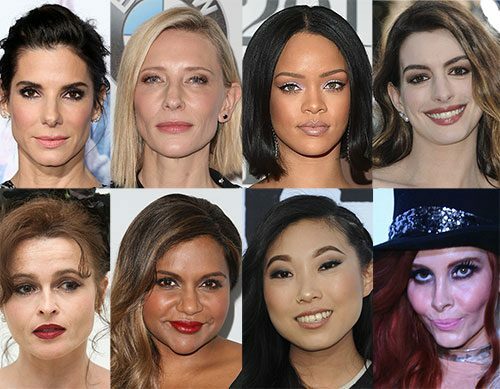 The movie is also set to feature Cate Blanchett , Anne Hathaway , Rihanna , Sarah Paulson, Mindy Kaling, Helena Bonham Carter and Awkwafina. That is seriously impressive cast and I can’t wait to see this take on the popular franchise. Sandra Bullock took to her Instagram account to share an on set photo which features her and Blanchett wearing stylish garbs probably plotting a heist. Even though filming has commenced in New York, the film won’t be released until the summer of 2018. The film’s plot is said to revolve around the scenario that has the gang of ladies stealing an expensive necklace from the Met Ball and framing the theft on a “villainous gallery owner”. Gary Ross , the director of this film also plans to maintain and respect the style and tone of Steven Soderbergh’s work on the previous films. Heist movies tend to have a group of guys with a token female member in it so its refreshing to see a film that flips the script on this convention. We will report further updates and Ocean’s 8 is currently set for June 8th 2018 release. Olisa Nwokedi - Olisa is an Aberystwyth University law graduate and Fordham University School of Law Masters graduate who was admitted into the Nigerian Bar in July 2016. He enjoys playing and watching rugby, writing, watching movies, playing video-games and Shark wrestling.......... that last part was fiction.